Did Your Hometown Make the List? Here Are the Best US Cities for Cheap Flights! If you love collecting miles & points, then you’re likely a big fan of cheap airfare, too! The price you pay for your ticket depends on a number of different factors. Some of which you can NOT control. How much you’re paying for flights has a lot to do with where you live. If you live in a city served by fewer airlines, you’ll likely pay more for tickets because there’s less competition. Flying From Which US City Gives You the Best Chance of Booking Cheap Airfare? I’ll Tell You! But if you live in the cities I’ve listed below, you’re in luck! Because you’ll have more options for affordable airfare! Which Is the Top US City for Cheap Airfare? 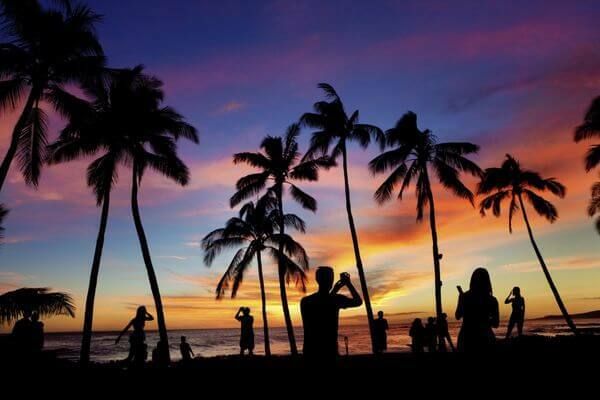 These 4 cities could easily hold the top spot in the US for good deals on air travel! New York has 3 major airports: JFK, LaGuardia, and Newark. So it’s easy to find a deal no matter where you’re going. New York is a hub for major airlines like United Airlines, American Airlines, and Delta. And these airlines often offer sales to Europe from the Big Apple. Discount airline JetBlue operates a base there, too. So you’ll have no shortage of flight deals to spots in the US, Caribbean, and Mexico! If you’ve got the Southwest Companion Pass, you can fly Southwest and get 2-for-1 travel from both LaGuardia and Newark airports. 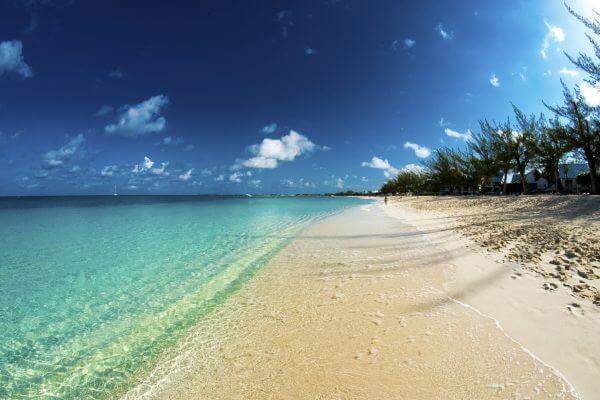 As a Hub for JetBlue, New York Has Plenty of Great Deals for Getting to the Cayman Islands and the Rest of the Caribbean! Or, consider WOW Air. They regularly have incredible sales to cities like London, Reykjavik, Amsterdam, and more! Starting in the spring of 2018, Primera Air will be offering cheap fares to Paris and the United Kingdom. And low-cost French airline XL Airways flies direct to Paris. Norwegian Airlines will be adding flights from New York to Madrid and Amsterdam later this year. And low-cost carriers Allegiant, Frontier Airlines, and Spirit all fly from the New York area. Chicago has 2 major airports: O’Hare and Midway. Southwest has more daily flights from Chicago (260+ daily flights to 65+ different cities!) than any other city. So it’s the perfect place to take advantage of the Southwest Companion Pass – the best deal in travel. Discount airline WOW Air flies from Chicago to Europe (seasonally). And starting on March 25, 2018, Norwegian Air will begin flying from Chicago to London. Which is expected to drive down prices to Europe even more. 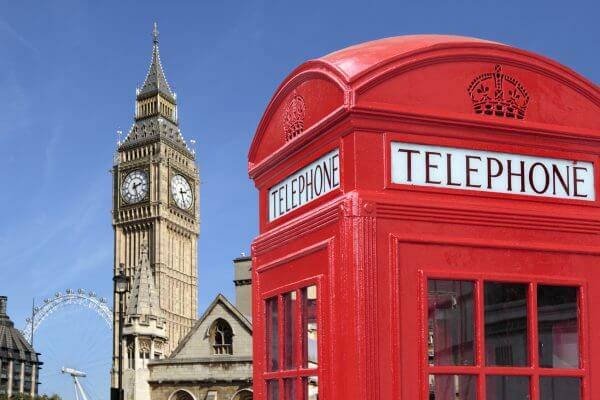 More Low-Cost European Airlines Are Beginning to Fly From Chicago, Which Means More Great Deals to London! Frontier Airlines is growing in 2018 and adding 5 new flights from Chicago. And ultra-low-cost carrier Spirit already operates a base out of Chicago, flying direct to 23 cities. With so much competition from cheaper carriers, you’ll likely see other airlines, like United Airlines and American Airlines, attempt to keep their prices lower. With 3 airports serving the Washington, DC – Baltimore area, you’ll have no problem finding a good deal! Baltimore is currently one of Southwest’s top airports, with 200+ daily flights out of the city. And soon, it will be easier to get to Hawaii on Southwest! Ultra-low-cost airline Allegiant flies to 7 domestic destinations, including Savannah, Fort Walton Beach, and Asheville. And you can easily escape to the Caribbean on JetBlue, which flies out of all 3 of the area’s airports! Spirit also flies out of Baltimore, and is adding routes to Denver and Montego Bay, Jamaica in March 2018. And the low-cost carrier Frontier has service from the Washington, DC, area as well! Atlanta is home to the world’s busiest airport. And great deals can be found in that sea of people! Delta is headquartered in Atlanta, which is its biggest hub city. And they offer 1,000+ daily flights to 220+ destinations from there! So folks with lots of AMEX Membership Rewards points and Delta miles won’t have a shortage of award flight options. 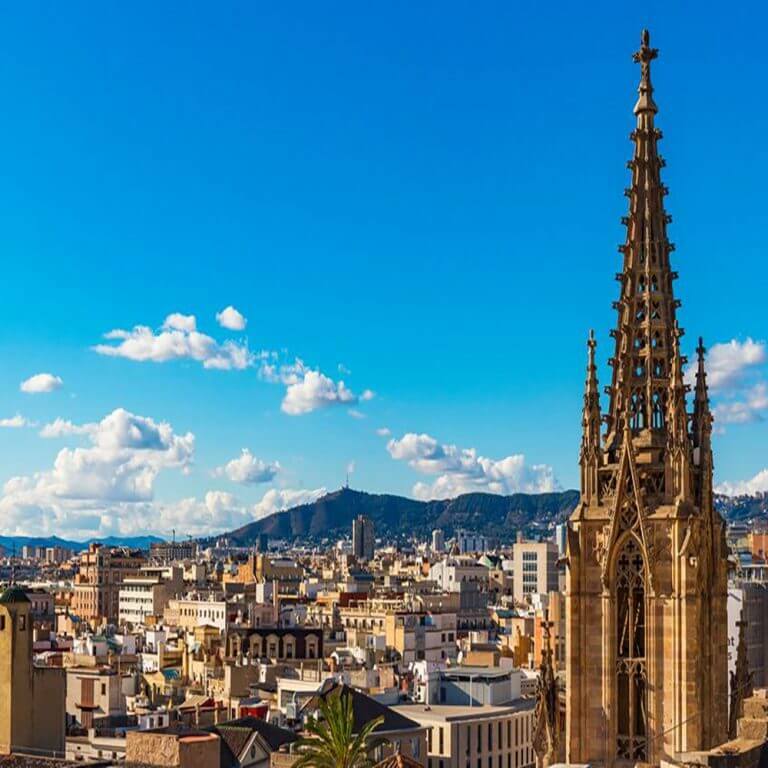 You Can Fly Direct From Atlanta to Barcelona on Delta! You can get good deals on Spirit from Atlanta, to places like Jamaica, Costa Rica, and Aruba. But these are NOT direct flights. Delta flies direct from Atlanta to those same destinations, but you’ll pay more. Atlanta is also a hub for Southwest, so residents can take advantage of great fare sales. And they can make good use of the Southwest Companion Pass, too! When you’re looking for the best deal on airfare, don’t forget to consider the extra fees low-cost airlines are notorious for charging. On some “deals,” the baggage and seat selections fees can be as much as the airfare! And always make sure you’re paying with a card that will earn you bonus miles or points for your airfare purchases. Folks in and around New York and Chicago have multiple airports to choose from. 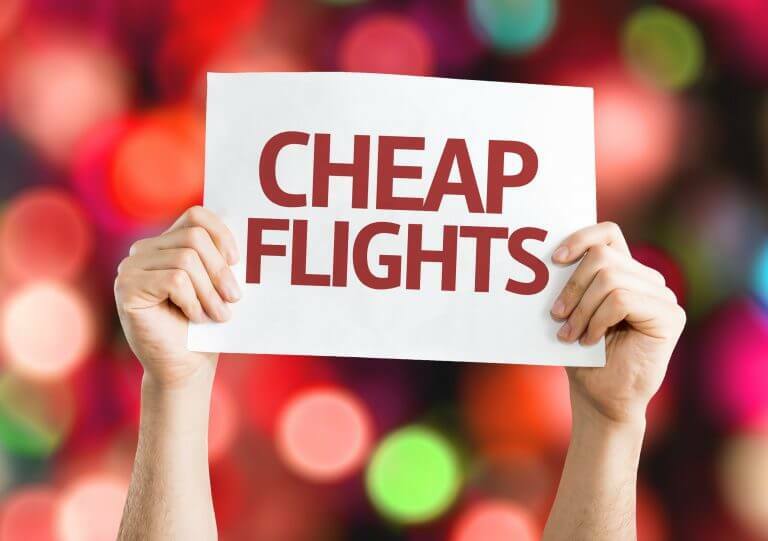 And they have plenty of great options for cheap flights on low-cost airlines! The Washington, DC (Baltimore) area is served by both Southwest and JetBlue. And additional competition from cheaper carriers like Allegiant should continue to keep prices down. Atlanta is home to the world’s busiest airport and Delta’s headquarters. So finding deals on Delta flights should be easier. And the city’s residents can save on flights to the Caribbean with ultra-low-cost airline Spirit! What do you think is the best US city for cheap flights? Let me know in the comments! LOL! Good catch, thank you!